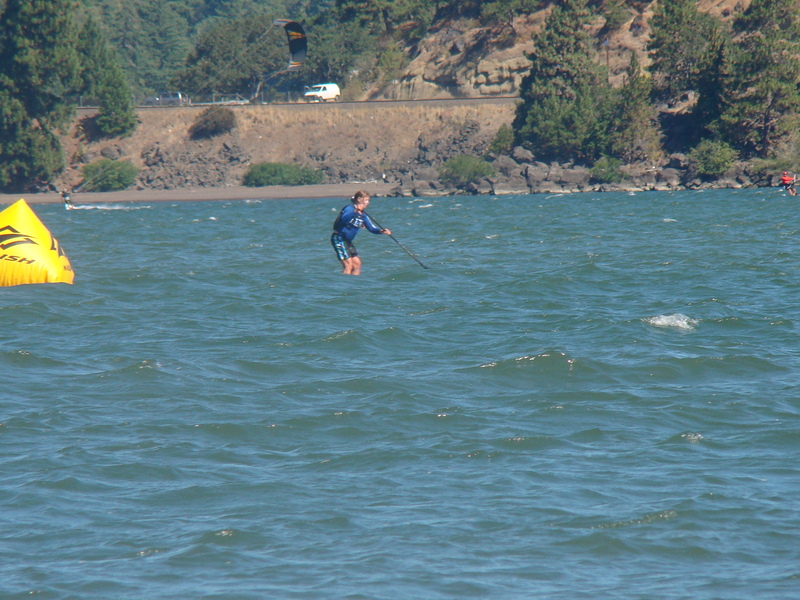 One year ago I had never set foot, or paddle, in the mighty Columbia River. 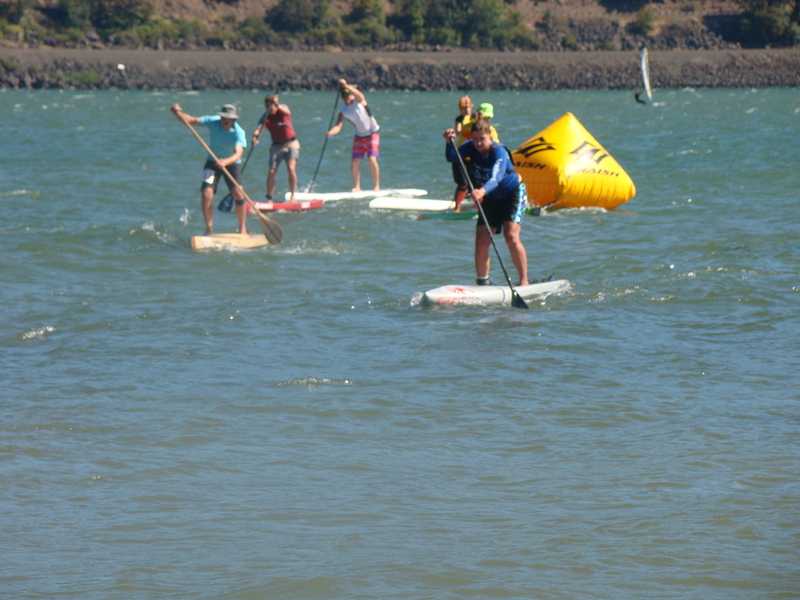 I planned to be a spectator at the Naish Columbia Gorge Paddle Challenge. At the last minute, some confidence-building from Brit Oliphant and a 20-second chance conversation with Candice Appleby gave me the boost needed to “GO!” when the horn blew to start the downwind race in 2012. This year I had a bucket list goal: participate in both the downwinder and the course race no matter what the conditions. The wind blew enough for the downwinder to make it fun and then it cranked up a few notches and nearly blew us off our boards on the 4 upwind legs of the course race. At the end of the weekend you’d think that the coolest stoke would have been from competing in the events. That wasn’t so. As in most great parts of life, the real stoke comes from the people and connections. Al Paterson who wrapped engaging stories and accurate commentating around every minute of the event was one such person. Seeing the smiles on the face of Steve Gates as he supported, inspired and just plain had fun watching his amazing team of JET athletes on the water was another treasure. On Friday afternoon, Ed and I were sitting by the water watching some of the elite athletes out practicing. Among them was Candice Appleby. You can call what she was doing “Practice” but there is no doubt that she was simply having a blast. She was negotiating tail turns and maneuvers again and again, all with a big grin and “wooops” when she’d splash in the river – back up for more. Fun as it was it had to be exhausting, but you’d never know. From there Candice headed to a photo shoot with a few other of the elites and the next thing I saw, she was dashing around on the lawn playing tag with a few giggling kids. Throughout the weekend, parents would stop with their young paddlers to get a bit of advice or have a chat with Candice. No matter how close it was to a starting horn or how many others were around, Candice always seemed to have the time to connect, to talk, to hand off one of her hats and to make someone’s day! She’s got time for the young – and the old. Both days I was the oldest female athlete on the courses – any win was a function of the minimal number of participants over age 50 (or 60!) This year I was fine doing the downwinder with Ed. In fact, couldn’t wait to jump into that one. The course race with the wind blowing stink X 3 was another thing. Standing on the beach before the event Candice came by to see how I was doing. A few pointers on staying aerodynamic upwind and a quick demo of how to execute the short choppy strokes that could power me upwind changed the butterflies into readiness. The race that started before the OPEN Women was the grom race. One youngster who seemed to be about 10 was not crying, but close to it. Her mom was doing her best to share confidence. Candice strolled over and checked out the situation. A few minutes, a few smiles later with new determination that little girl leaped to her feet at the start horn and paddled her way into windy chaos, never looking back! The OPEN race began, and we all set off. It was grueling to reach that first upwind mark. Candice had told me to gather my balance and mindset after turning that mark for the downwind leg. Good to remember. I had some water, eased my breathing steady and got some glides going. I am not even going to talk about the chaos and challenge that turning the downwind mark to begin the uphill battle back upwind was. Suffice it to say I was exhausted by the time I made my way toward the turning buoy on the beach after lap number one. But from there, things got better. The wonderful JET girls in their bright orange shirts were fun to paddle around. Hearing them cheer and tease each other, give space at the buoys and generally compete with heart fueled the next few laps. As I approached that challenging downwind turning mark for the last time I noticed Candice was in the water warming up doing repeats up and down wind by the shore. Somehow she noticed me coming and gave a cheer that added energy to that last turn. Heading toward the beach and the end she got a pretty big smile from me as I set up my position and strokes for the most power in that last segment. I don’t know how she balances it all. The world of an elite standup paddler is full of endless training, endless travel, and the need to be both leader and ambassador for our fledgling sport. These elite women certainly don’t do all they do for the money, that’s another issue entirely. For the many SUP athletes who benefit from athletes like Candice and their inspiration, we have the task of taking that example and making it our own. No matter what our experience or records of wins/losses, we all have something we can share. Thanks for the example and for the inspiration, Candice Appleby. 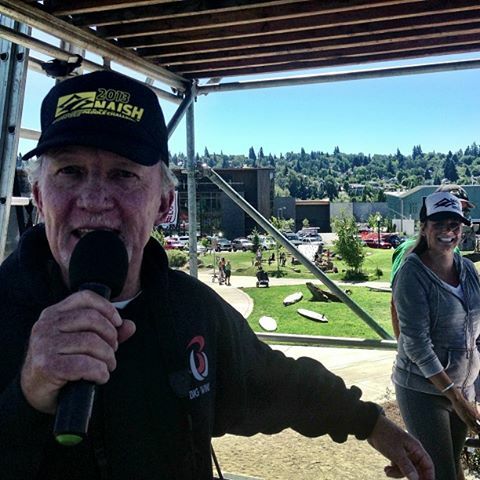 This entry was posted in Journeys and Quests, People, SUP Racing, Uncategorized and tagged Candice Appleby, JET, Naish Gorge Paddle Challenge, Steve Gates by Water Words. Bookmark the permalink.